Many secrets of the native Americans have been lost with time. As Europeans colonized the new land, they converted the local, erasing their culture and religion to make them more compliant, easier to control. Today, we have stories passed down through generations and long-lasting monuments to tell what little they can. But, with this Playtech release, we are traveling back in time to an era where the Mayan empire was alive and well. The slot is played on a 6x4 playing field with 50 fixed paylines. There is only one bonus, but one we have not yet had the pleasure of seeing elsewhere. Compared with other Playtech games, the graphics here are quite good. But when accounting for their competition, the developers are lagging behind, we have to admit. Keep in mind, unless you are a visual snob and want the very best, you will not have much to complain about, here. But there is a distinct lack of symbol animations or any movement in the backdrop. We hope that, in 2019, Playtech succeeds in closing the gap, as we like how their titles play. And speaking of gameplay, Anaconda Wild continues to the trend of keeping things smooth and fun. The 6x4 playing field is a bit wider than usual and that change was mostly made for the special feature this slot has to offer. Pays are awarded by collecting three or more of the same symbol on adjacent reels, following one of the 50 active paylines, from left to right. 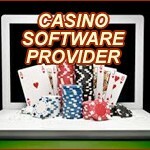 The game has a medium volatility, and it balances between frequent, smaller pays, and big, but very rare jackpot hits. 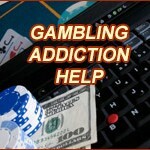 You can wager between $0.25 up to $2,500 per spin, which can be achieved by changing the total bet. 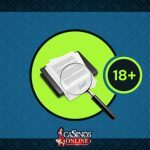 This is a massive bet spread that both casual players and high rollers alike will fall in love with. Casual gamblers only pay 25 coins while enjoying playing the game at 50 paylines, while high rollers can go wild with obscenely high numbers. 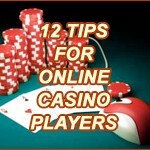 Mid-range players will also have an easy time finding a wager that suits them in such alarge betting range. The largest win you can get in this title is 1,000x the stake. The RTP for Anaconda Wild is 95.48%, which is slightly below average for Playtech. Symbols include playing card suits – diamonds, clubs, hearts and spades. You also get unique icons like a golden wristband, a jade dagger, a coin with a face on it, a richly decorated cup, a blue treasure box and a Mayan woman with a fancy head-dress. Special symbols include smaller Wild and larger Wild, which triggers the special feature. When larger Wild appears on the playing field, it activates the Anaconda Wild Re-spins feature. A snake escapes Wild, and moves across the reels, one position each re-spin, leaving Wilds in its wake. The re-spins end when the snake returns to the same cell she came from. The graphics were really the only thing holding us down from giving this Playtech release a near perfect score. While we liked the re-spins, we would have appreciated one more bonus to keep things interesting. Still, if what you have read so far sounds interesting, go ahead and give it a try!